You have a story to tell and we want to tell it! It is our belief that every wedding or event should have a story at the heart of the guest experience and floral design is the medium in which we can tell that story. Is your style modern and minimal? Then the flowers should reflect that. If bright and vibrant describes your love, then let’s use color! Your wedding florals will be unique to you and never a replication of something pulled from Pinterest. We seek inspiration from nature, fashion, interior design, food - really anywhere we find color and texture! What does it mean? Novella | noun: a short novel or long short story. As a florist, we have a responsibility to the earth that produces our blooms. We strive to reduce our impact with each event. Some of the ways we practice sustainability are through the use of reusable materials (floral foam free! ), the composting or repurposing of flowers, and sourcing of blooms from local farms whenever possible. We celebrate ALL love! Everyone is welcome at our table. Our team wouldn’t be complete without our flower-loving little dude! 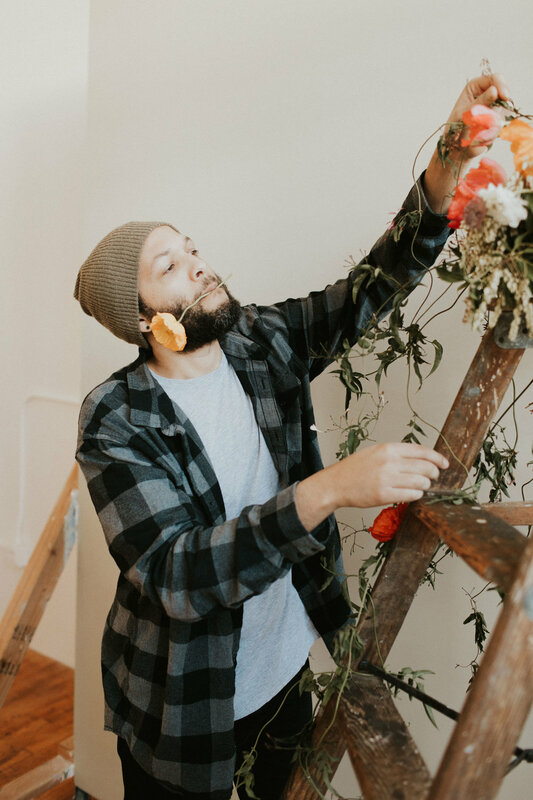 We are a family business at the heart and it brings us so much joy to share our passion for floral design with this guy. Fun Fact: he can already name over 35 flower varieties!